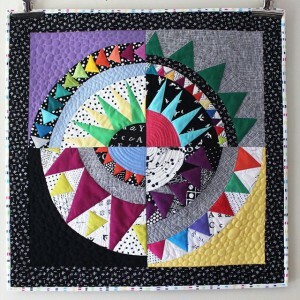 I absolutely love teaching quilting classes and I am happy to travel near and far for classes. If you would like to take a workshop with me at your local quilt shop or quilt guild, please email me for more information. 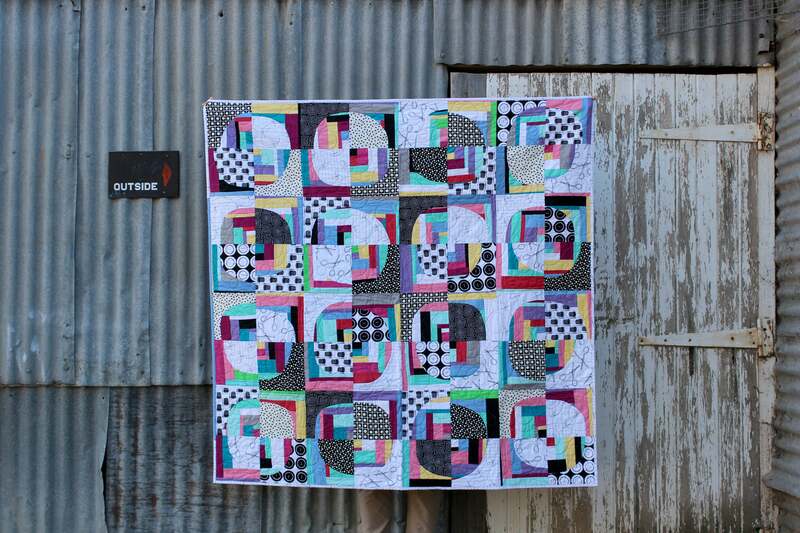 This workshop is designed to help you break free and embrace improvisational quilting. Throughout the workshop you will learn to fall in love with improvisation based on flexible, fun and creative techniques. 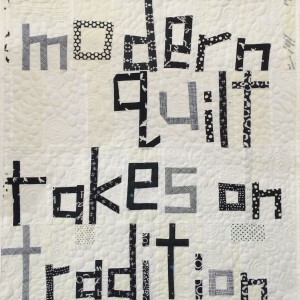 We will pay respect to tradition on our way to breaking the rules and creating your own, one of a kind quilt. Suitable for all skill levels. 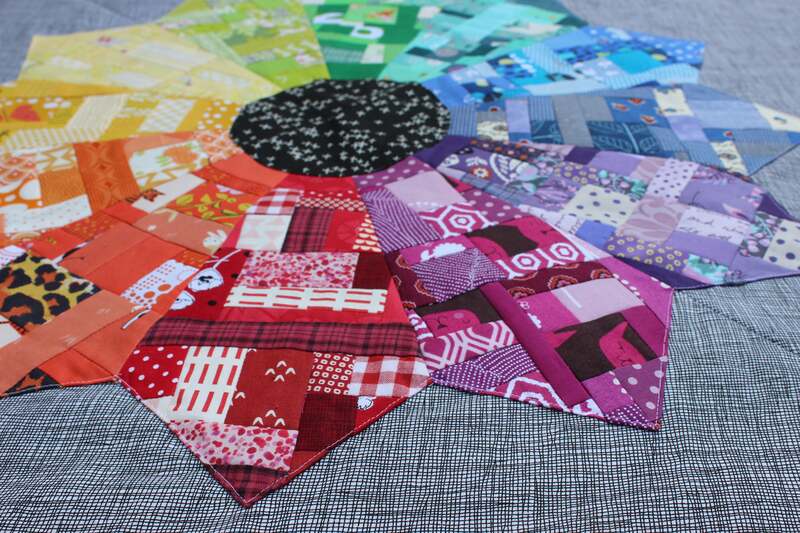 This workshop covers the basics of colour theory and explores how it relates to choosing fabrics for your quilts. 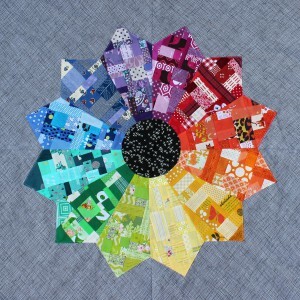 You will learn about colour relationships and why they matter, how to curate a colour palette using an inspiration source, find a way to use that ‘ugly’ fabric and make your own colour wheel quilt. Gain the confidence to use your sewing machine. 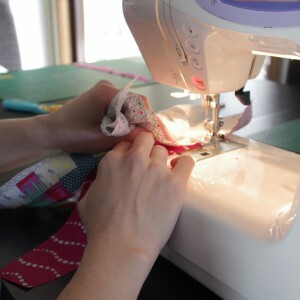 Students will learn the basics of sewing and create fun and easy projects. Spend the day getting comfortable with your sewing machine and understand common sewing terminology. You will discover that everyone can learn to sew; it’s easier than you think! Spend the day learning how to use words to personalise your quilt. You can incorporate words, quotes, names and more to make a unique quilt with a special message. 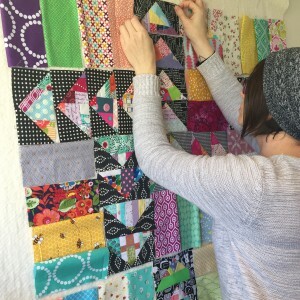 In this fun workshop you will design and create your own original quilt, where Crystal will take you through the free form techniques to create improvisational letters. Crystal will show you how to breathe new life into the New York Beauty block using two new techniques – free foundation piecing and free hand curves. 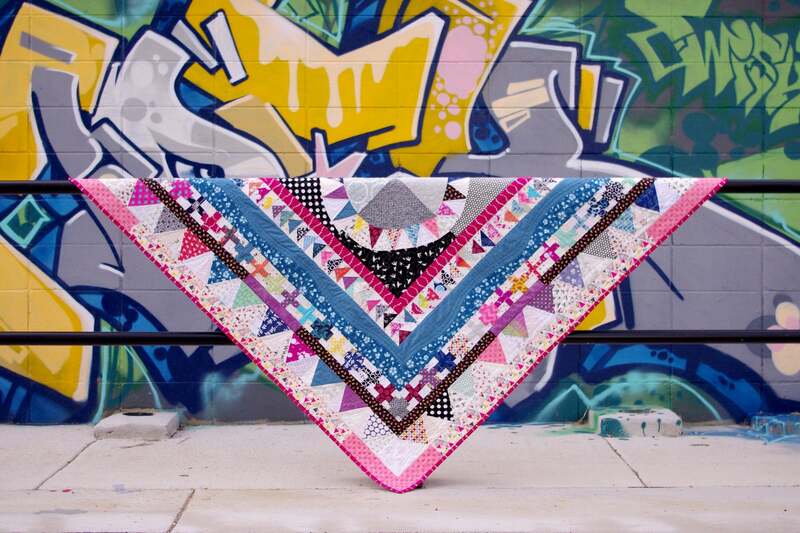 Relax as you forget perfect points, this modern New York Beauty does not require precise measuring or cutting to create this iconic quilt block.